The archipelago of the Philippines is composed by more than 7000 islands. The main islands are well promoted by tour operators, offering travel packages to visit one of the most beautiful countries of the world, its marvellous beaches and its crystal clear waters, a real unspoiled paradise with a breathtaking nature, where you can relax and have a great time. Some islands are, however, little oriented to accommodating tourism and less easy to reach, but for this reason they offer breathtaking views and wonderful sea where you can dive and experience unique emotions, not only thanks to the transparency of water, but also to the high biodiversity of the environment that offers close encounters with countless and colorful little marine life forms. Among these islands there is the island of Negros, which generally remains on the edge of the classic typhoon circuit and has, during the winter months, a warm and dry climate that makes it a good tourist destination throughout the year. Negros is a fabulous island with an area of over 12,000 km of verdant nature. This is where the true Filipino culture and its inhabitants are met, 4 million and a half people, which animate what is considered the fourth island of the country. Negros is part of the Visayas archipelago, which is the central part of the Philippines and is southeast of Panay Island. The Guimaras Strait spearate these two islands, and right here in this small sea tongue that divides Panay and Negros you can find the island-province of Guimaras. Negros Occidental, which overlooks the Sulu Sea, and Negros Oriental, near the Cebu Island, from which is separated by the long strait of Tanon. The capital of Negros is Bacolod, but what attracts tourists here is the wild beauty of its nature. Despite being a lesser-known tourist destination, the island offers many attractions, its flat coast alternates long white sun-kissed beaches with those of black volcanic sand. 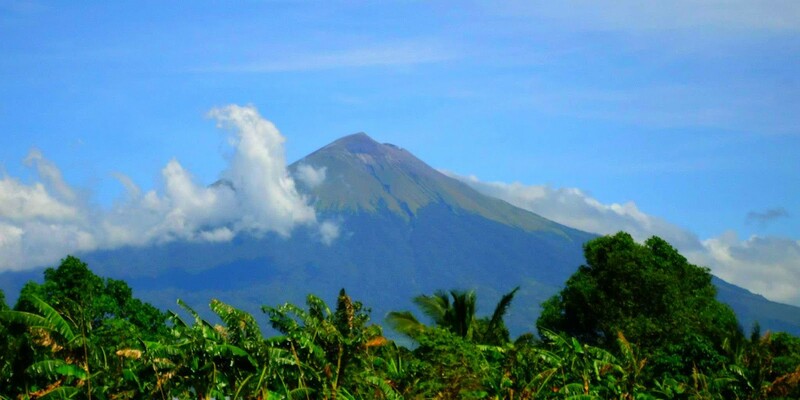 The Kanlaon Volcano (2,465 meters) stands majestic in the north of the island and is not only the highest mountain but also one of the most active volcanoes in the Philippines. Climbing the volcano you can enjoy one of the most breathtaking views across the island and you can even see the nearby islands of Panay, Siquijor and Cebu. All around there are thousands of acres, 25,000 for the accuracy, of a national park that enclose a vegetation which is unparalled due to its biodiversity heritage.